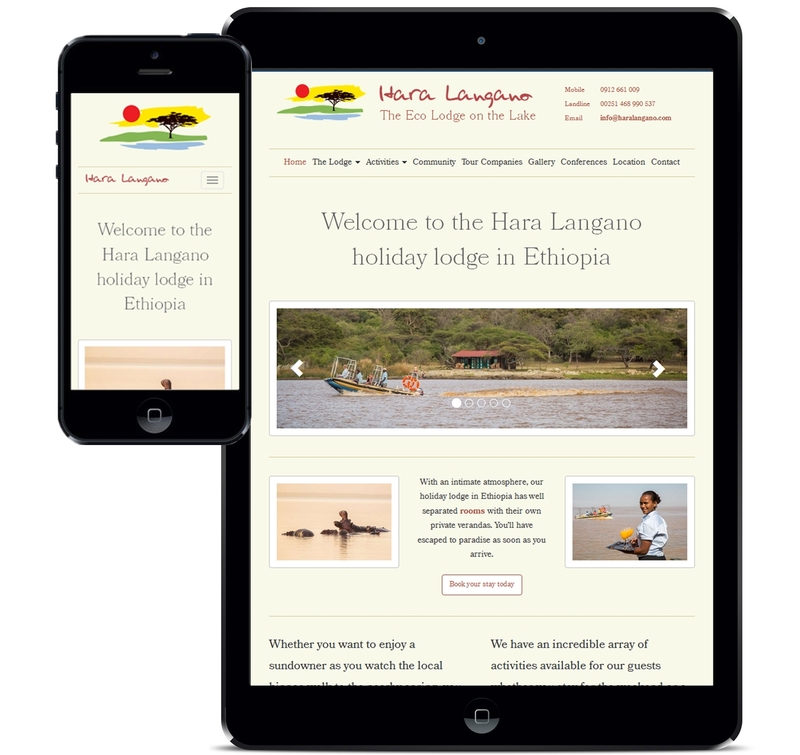 Hara Langano is a new lodge in Southern Ethiopia, it offers top quality accommodation and service in a beautiful and tranquil part of the region. 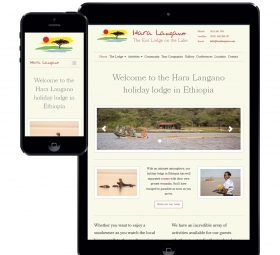 It is a sister company to No Prob Tours, an Ethiopian travel and tour company, so they wanted to keep the branding similar. 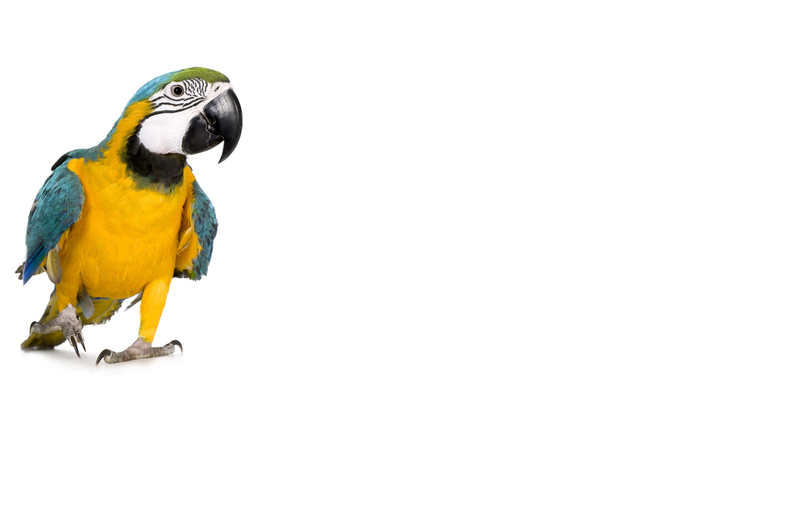 Webbed Feet UK were brought on to create the responsive website from scratch. 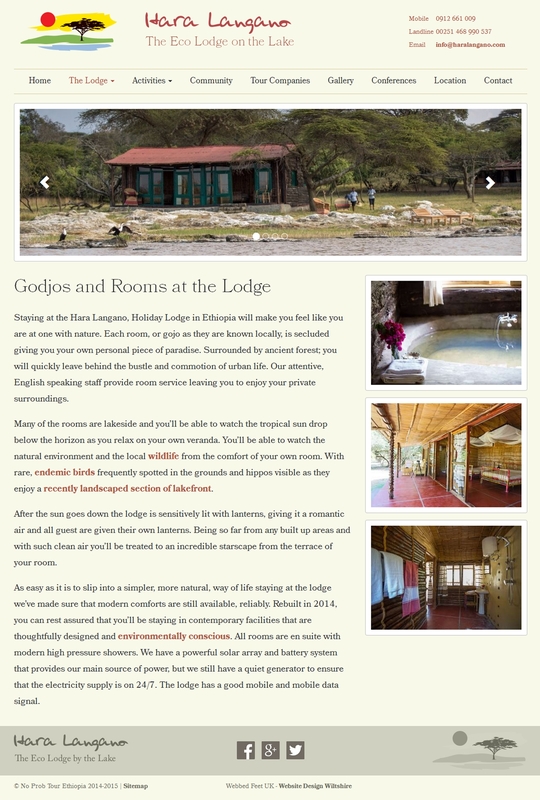 It was important to show the unique aspects of the Lodge, in that while it was remote and peaceful there were plenty of activities for guests to enjoy. It was also important to appeal to tour companies who are hoped to provide a significant portion of their trade. To this end we created a page aimed at tour companies explaining how the utilities were reliable and how the staff could handle most guest issues, allowing the guide to relax and focus on the next part of their tour. The design, as well as needing to match the branding for No prob tours, was created to evoke a feeling of nature and calmness. We worked with their photographer to come up with a shot list that would highlight each of the key points in the text, and really show off this unique hotel. We also wrote the content for the site. After speaking to their team we teased out each of the lodge's USPs and then combined that with our knowledge of what would appeal to the different demographics that might visit. 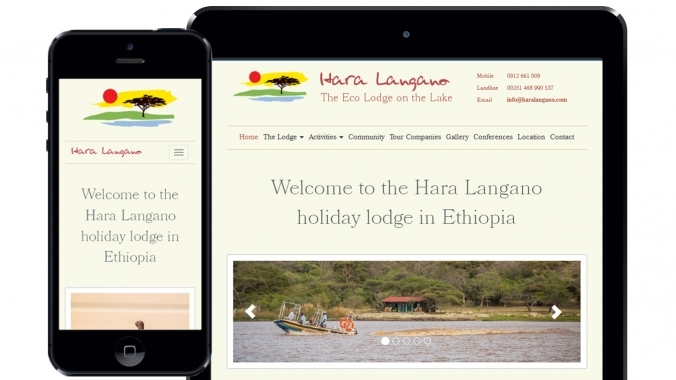 The resulting text really paints a picture of why the lodge is so special and crucially it is also optimised for search engines. 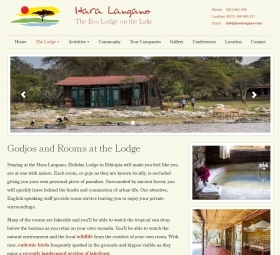 As part of the marketing push the lodge also needed flyers and postcards to hand out at trade shows and in country. 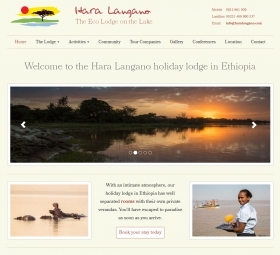 The postcards were not only eye catching but succinctly summarised why you should visit the lodge.